Drizzy fans, you need not feel sorrow and longing anymore. 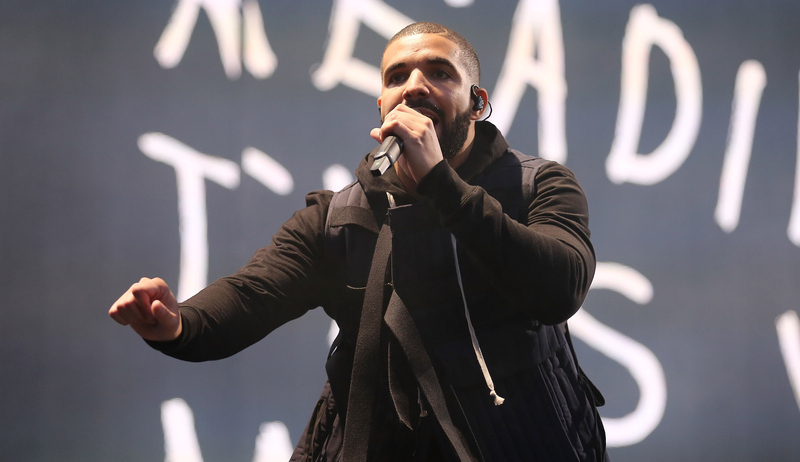 Rejoice instead, for King Drake has announced the Views From The 6 release date, after months of hints. The Canadian rapper and dreamboat recently dropped two tracks from the album, “Pop Style” (featuring Kanye West and Jay Z) and “One Dance” (featuring Wizkid and Kyla), which made fans hungry for a taste of new Drake, and he's finally provided a firm date for Views' release — April 29. And the way he announced it is proof he truly is one of music's biggest power players. Drake revealed Views' release date on his Beats 1 radio show, OVO Sound Radio, not via another outlet or even a publicist. He's in charge of his empire, and he's set on using his own opportunities, not anyone else's, to make that known. Drizzy wants fans to know that he's behind his own image and own products, and that he's the only person to go to for news on Views. All that teasing of the album's release date certainly didn't hurt. By spending months drawing out the actual date Views will arrive, Drake reminded his fans that we are all but citizens of his kingdom, eagerly waiting for whatever little snippets of info he chooses to provide. This weekend's reveal of the actual release date was a gift to his followers, but it certainly didn't come easy. As for how he's gonna remain in control, even after Views gets released? Drizzy has a plan. Just look at one of his already released tracks, "Pop Style," which features the duo of Kanye West and Jay Z — also known as The Throne. All great rulers know that to remain in power, one must keep friendly relationships with other members of royalty, and it's clear Drake is doing just that. Drake's Views From The 6 will be initially exclusive to Apple Music and ITunes, before hopefully appearing elsewhere, perhaps on streaming sites. If all the waiting you have to do is tearing you apart as is me, I wish you all the best. Do not fear, because soon, the day will be upon us. Happy listening, y'all!